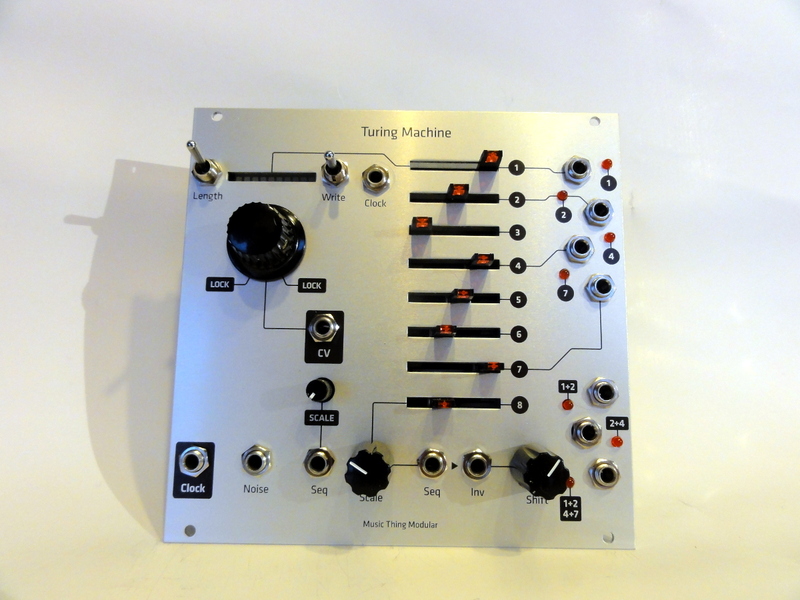 Music Thing Modilar Turing Machine random looping sequencer, it’s a circuit that produces clocked randomly changing control voltages. PCBs are housed behind Grayscale panel. This is an open hardware projec.